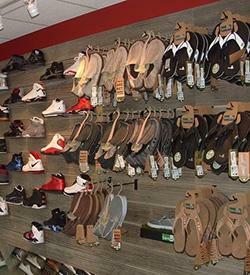 Wall displays are used around the perimeter of your store. "Leave no wall behind" is our motto. There are many options to achieve the desired feel of your store. From standards, recessed standards, outriggers (custom or off the shelf) all the way to custom style cabinets tailored to your style.